Pregnancy & Post-Natal Pilates & Yoga! Get in touch by clicking here! GREAT NEWS!... Our Pregnancy/Post-Natal Pilates and Yoga class starts NEXT WEEK! 1. Strengthen Muscles - equip your body for the strains caused by your growing baby, and help reduce aches & pains. 2. Reduce Back Pain - stabilise your back and pelvis, and strengthen weak muscles. 3. Strengthen Pelvic Floor - to support your bowel, bladder and uterus. 4. Improve Balance - this can take a hit during pregnancy as your centre of gravity shifts. Take the strain off your back and pelvis. Help to get the baby in the right position for birth. Meet other Mums or Mums-to-be! Time just for you! And help to bond with your unborn baby. Release endorphins - the feel good factor! The classes will be in 6 week courses and will cost £40. This works out at approx £6.67 per class - A bargain for small, specialised classes with a qualified Pilates instructor, Personal trainer and Pre & Post Natal exercise specialist. Classes will be small (6-8 per class) meaning that you can have more 1 to 1 support, and each exercise can be tailored to your specific stage of pregnancy (or during the Post-Natal stage). We welcome ladies at ANY stage of their pregnancy, and ladies who have recently had a baby too! The class will have ladies with very different abilities, and that's great! Whether you think you have a decent core or no core at all - this is definitely the class for you. Get in touch with any questions, for further information or to book onto the course! Maximise Sports Therapy are looking to recruit a Graduate Sports Therapist to join the team at a busy Sports Injury Clinic in Warrington. The role will begin with part time hours (approx. 15 hours per week), progressing to full time (approx. 36 hours per week) by June/July 2018. Basic day rate and per patient rate applies – depending on experience. The successful candidate will be friendly, confident, willing to learn and approachable, with great communication skills. These attributes are essential in fitting in to the team and building a rapport with clients. Providing Sports Massage to a range of sporting and non-sporting clients. Injury Assessment, Treatment and Rehabilitation. Regular CPD/in-house training and knowledge sharing. BSc (Hons) Sports Therapy or equivalent. Experience and confidence with Sports Massage and Injury Assessment/Treatment/Rehab in a Clinic setting. Registered as Self Employed (UTR number required). Full professional insurance and relevant memberships (i.e. SST, SMA, BASRaT). Instrument assisted soft tissue mobilisation (IASTM). Postural imbalance occurs when opposite muscles, or groups of muscles, do not have equal strength or flexibility (muscle length). Example 1: The "pecs" (chest muscles) become shortened and the upper back muscles (rhomboids, trapezius etc) become lengthened, pulling you into a rounded shoulder posture. (See Thoracic Kyphosis image). Your body consists of muscles that work both together and against each other (agonist and antagonist) to provide both strength and movement. When muscles become over/under-active or shortened/lengthened they cause an imbalance, which means that your posture is no longer optimal, in sitting, standing or through movement. It is important to address poor posture caused by muscle imbalance, as it can cause significant discomfort and pain. So, what can you do to help prevent this from happening? - Help yourself by correcting how you sit, don’t slouch! Try to keep your body in an upright position, retracting your shoulders and straightening your back. 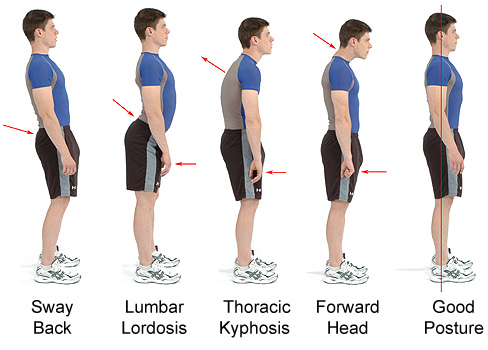 - It's the same principle when standing, make sure your posture is upright. Try not to sway your hips forwards as this will increase pressure on your Lumbar vertebrae causing discomfort in your lower back. - Be aware of your posture when moving or lifting objects. Always bend at the knee and keep your back straight, this will mean the weight is more evenly distributed and will off-load the spine. 2) Use your weaker side when carrying objects. - We all have a dominant side on which we carry objects or perform simple tasks with. Try using your less dominant side to break the habit. This will allow you to strengthen when performing daily tasks and will mean less load through your dominant side. It may be hard to do this subconsciously but keep reminding yourself! - We are all guilty of it! Whether its looking down at your phone or reading a book/paper, your neck starts to suffer. After-all your head is rather heavy! Start reading or looking at your phone in front of you at eye level, or reducing the amount of time you use your phone to ensure minimal strain. - Getting yourself more active by walking, jogging or cycling will help to combat postural imbalance due to inactivity. - Strengthening your spinal muscles and your core will help with your posture, making your muscles stronger to distribute forces equally through your body. If you’re a keen gym member, focus on engaging your core and back muscles at least 1 session a week, use it as a maintenance session and keep on top of your posture. - Make sure you perform the correct technique to ensure good posture whilst performing exercises - get advice from a professional if you are unsure! - As our muscles work and start to fatigue they tighten, so it is important that you keep a recovery strategy in mind. This can include; stretching, foam rolling, mobility exercise and deep tissue massage. You should use these modalities to reduce your postural imbalance. - Deep tissue massage (DTM) can consist of a range of techniques to loosen and stretch muscle fibres. This Increases the blood flow bringing fresh nutrients and oxygenated blood to the area of tension. It improves the temperature of the area, and kick starts a healing process to repair muscle. Deep tissue massage also has a positive effect on the texture and tone of the muscle, as well as stimulating the nervous system and promoting the relaxation of a muscle. Relief of Acute or Chronic pain. Consider these 5 tips as simple things that can have a significant effect on your postural imbalance. Keep in mind this is not a quick fix, so be determined to correct yourself and these top 5 tips will help you along the way! Welcome Samantha!... our new Therapist! 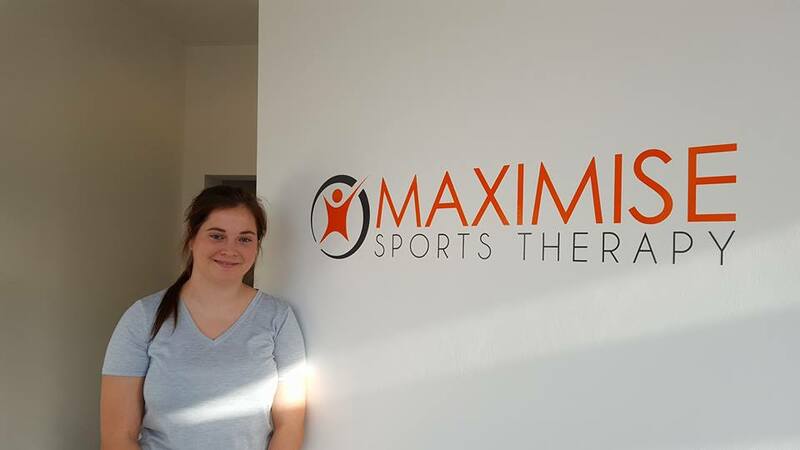 Samantha is the newest addition to the Maximise Sports Therapy team! 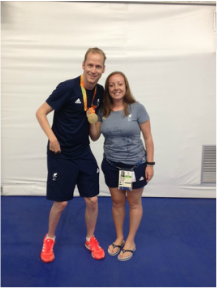 Sam is a Graduate Sports Therapist from Edge Hill University - the same as Jeni - and has experience working with sporting and non sporting populations, providing Massage, Injury Assessment, Treatment & Rehabilitation. She is also trained in Dry Needling/Acupuncture and K-Tape. You can book your appointment with Sam using our online booking system, by calling/texting the clinic on 07984008186 or via Facebook. Get yourself booked in and see first hand how good she is! 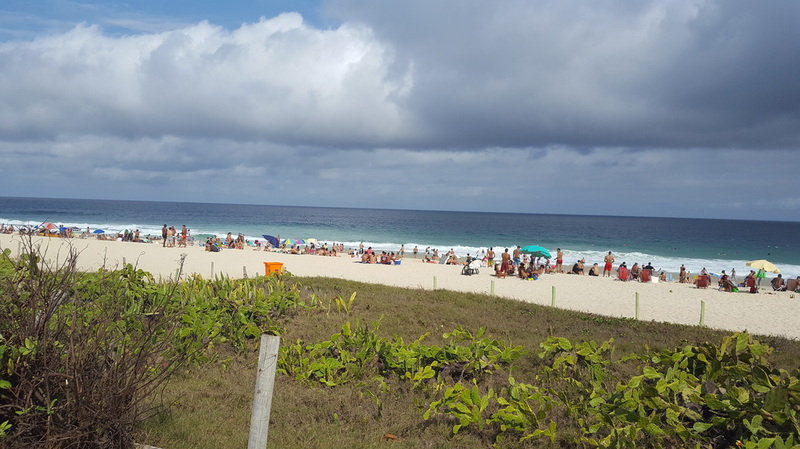 Jeni's time in ... Rio de Janeiro. 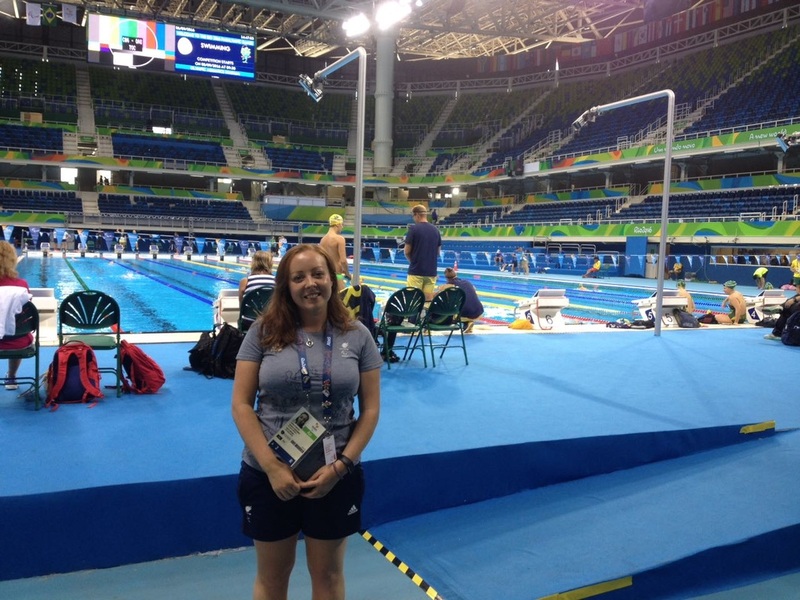 As you may know, Jeni spent some time in Rio de Janeiro in August & September for the Paralympic Games, working specifically with GB Paralympic Swimming. 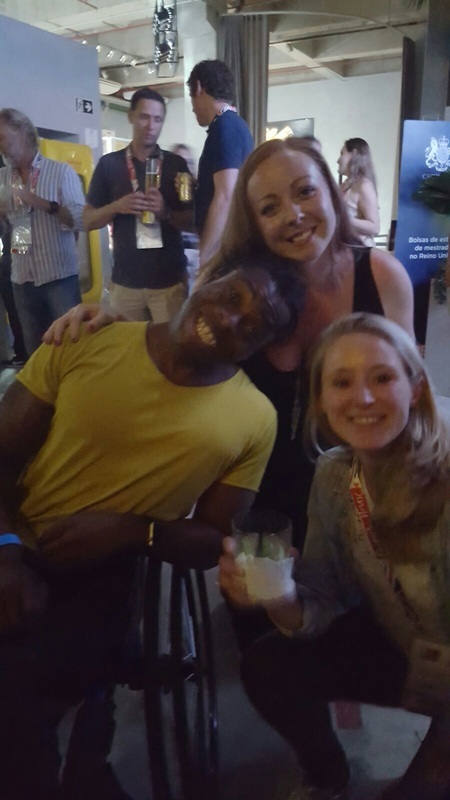 "I had such an amazing time in Rio... hard work! and long days! but what an experience! 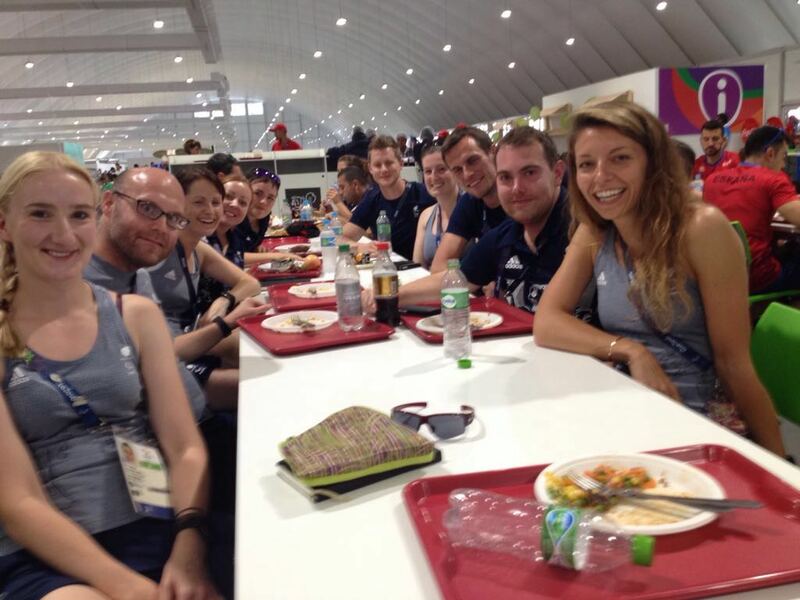 The athletes and staff that I have worked alongside throughout the year have been brilliant - so supportive and dedicated - a true inspiration. All of the hard work that the staff and athletes have put in over the last 4 year cycle since London, massively paid off in Rio, with 47 medals (16 gold, 16 silver, 15 bronze) coming from the Para Swimmers alone. The knowledge and skills that I have had the opportunity to develop whilst working in this environment are definitely something that I can pass on to my patients at the clinic, and I truly believe that this experience has made me a better therapist. I really look forward to continuing to work with these guys into the next Paralympic cycle, at training camps and competitions in the UK and worldwide, and continuing the success of Rio 2016." We are looking for a Graduate Sports Therapist to join the team here at Maximise Sports Therapy. A Therapist is required to work on a Saturday and potentially 1 evening during the week. More days/hours will be offered as the client base builds. Must be a Graduate with some experience of work/volunteering in private & sporting environments - to be discussed on an individual basis. To be discussed on an individual basis. Basic day rate will apply with bonuses for a busy diary. Successful applicants will be invited to Interview, which will involve a short practical demonstration of skills. 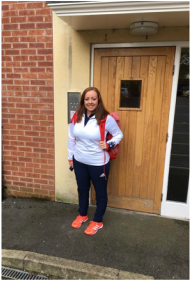 New face at Maximise Sports Therapy! You may notice a new face around the clinic from Saturday 9th July... Meet Rhiannon! As the clinic is growing and we are getting busier and busier, Rhiannon will be our Saturday Receptionist starting from 9th July! She will be able to help you with bookings, queries, payments etc... so calls, texts and messages may well be from a new voice starting this weekend. Welcome to the team, Rhiannon! Pregnancy Massage Offer - June & July! Are you, or someone close to you, pregnant? Well this months offer is for you! Feet, ankles and calves can take a beating during pregnancy! Are they swollen? Aching? Or maybe you just want some relaxation? Book yourself, or your loved one, in for a Foot and Lower Leg Massage in June/July for only £12! 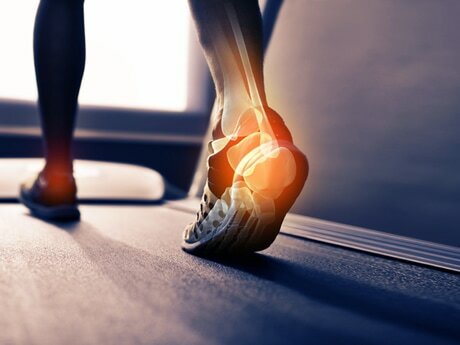 The appointment will last 20-30mins and fill focus on the key problem areas in the foot and lower leg, helping to reduce tension, alleviate aches and pains, and help to ease the swelling on your feet and ankles.